As noted in Part 1, the purpose of an LTP is to provide a basis for accountability and act as a vehicle for integrated decision-making and co-ordination of council resources by taking a long-term view. We wanted to understand how elected members and management use the LTP to run the "business" of their council. We also wanted to understand the issues that councils face in giving effect to the Act. In this Part, we discuss the approaches that two councils, Palmerston North City Council and Gisborne District Council, took to preparing their 2018-28 LTPs. We met with elected members and staff from these two councils to discuss their strategic context, the role of the Mayor and chief executive in preparing the LTP, how they use the LTP as an accountability tool, their project management approaches, and what changes to the Act they would like to see. We hope that other councils can learn from these two examples. Preparing LTPs is a large task for councils and comes at a cost, including internal staff resourcing and the external audit fee cost. Councils need to be well-prepared for developing their LTPs. If they are not, there are timing and cost consequences. In this Part, we also discuss the external audit fee cost. Last year, we developed a vision for Palmerston North: Small city benefits, Big city ambition. This reflects the value we all place on the great quality of life, community spirit, and affordable access to services that come with being a small city, as well our ambition to have the opportunities larger cities offer. What’s the Big Picture – consultation document for Palmerston North City Council’s 2018-28 long-term plan, page 2. Preparing the 2018-28 LTP was part of a much wider agenda for Palmerston North City Council (the City Council). This agenda is based on the City Council taking a planned approach to growth. Elected members set the City Council's strategic direction, starting with a new vision. They then considered what goals and strategies would achieve that vision. City Council staff then reduced the City Council's 28 previous strategies to five. This work was completed before the City Council prepared a spatial plan. The City Council felt that a spatial planning approach was an easy way to engage with the community and would allow it to reach a broader range of people. The LTP was one of the tools to achieve the new vision and goals, and the City Council used the updated strategies and the spatial plan in the LTP to have conversations with the community. The staff who we spoke to described this LTP as "strategically driven and integrated", whereas previous LTPs had been prepared separately from strategy. The City Council expects that having a strategy-informed LTP will help it deliver its capital expenditure programme on time and to budget. The City Council treats the LTP as a living document and a tool to give effect to strategy. The LTP process was driven by elected members of the City Council, with the Mayor taking a lead role. Plans were prepared to deliver the City Council's five strategies. These went to councillors for their approval and were then costed. This led to changes to activities in the draft LTP and informed the prioritisation of what projects would be included. The plans were assigned to Group Managers, who are accountable for their delivery. The project team was broader than for previous LTPs, which helped the City Council to be strategy-led. This reflected elected members' desire for strategic alignment and also helped conversations to be strategic and not go straight into talking about the finances. An integrated 10-year plan requires an integrated approach to the review of strategies and the development of the LTP. Councils need to start with good strategic intent, and with the spirit of the Local Government Act and not look at the development of the LTP as a compliance exercise. Staff we spoke to felt that the changes to the Act (described in Appendix 1) have made LTPs less cohesive. They told us that matters for consultation do not fit with real-world time frames. Staff noted that the Act assumes that the consultation document is a repository for issues and options. However, this is not always how projects are developed and decisions made. Staff gave the example of the proposal for their wastewater treatment plant. The City Council has not yet decided on a long list of options, but needed to identify issues and options in the consultation document, including indicative costs. The 2018-28 LTP for Gisborne District Council (the District Council) was a council-owned process that started with strategic priority-setting. The LTP process was largely led by the chief executive, who had been closely involved in the last three LTPs. Tairāwhiti Wai – improve the well-being of our waterways and coastal environments, including protection of healthy soils. Intelligent infrastructure – invest in existing and future core infrastructure needs, with a focus on cost-efficient and effective designs. Intelligent investment – make sensible, long-term decisions on investments and borrowing, and always seek the best value for community money. These priorities had been reduced from seven because of affordability issues. Elected members chose from four scenarios that were developed ranging from "gold-plated" through to "no frills," with levels of service aligned with each scenario. Staff preparing the LTP used the New Zealand Society of Local Government Managers' guidance Jigsaw 2018: Piecing it together , referring to it as their "Bible". The District Council's leadership drives accountability from the top, with staff inducted into the LTP process and elected members' responsibilities linked back to the LTP. The District Council uses an integrated reporting approach, with quarterly reporting against the first year of the LTP. It then integrates this into its annual report. The District Council wants councillors and the community to understand the "whole story" rather than what the Act prescribes, and for the community to understand what level of service it has received. A key comment made by District Council staff we spoke to was the need for an integrated planning approach across the Resource Management Act 1991, the Local Government Act 2002, and the Land Transport Management Act, which could result in a spatial plan. They described spatial planning as the "why" for the approaches included in the infrastructure and financial strategies, and noted that this is particularly the case for regional councils. The District Council staff we spoke to noted that they would like to start carrying out spatial planning to inform the District Council's strategies and the 2021-31 long-term plan. the membership of a council's LTP steering group/project team matters – councils need to ensure that members reflect the skills needed to deliver the LTP. If staff cannot provide these skills, then the council needs to consider contracting people who can. Members of the councils' communication teams featured heavily for both Palmerston North City Council and Gisborne District Council. What happens when the process goes wrong? 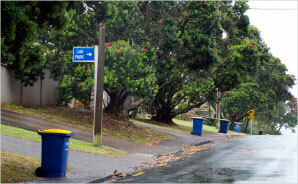 Palmerston North City Council and Gisborne District Council are examples of LTP processes that have gone well, although both councils acknowledged that they could improve those processes. When the LTP process does not go well, councils run the risk of not meeting the statutory deadlines for adopting their LTP and/or incurring significant budget blow-outs. In Part 8, we note that Wairoa District Council and West Coast Regional Council did not meet the statutory deadline for adopting their LTP. We have been told by many councils that preparing and consulting on an LTP is a resource-intensive and time-consuming process. We expect councils to adhere to good project management principles, otherwise they risk incurring more costs than planned. This includes additional audit fees if the council does not provide crucial components of its LTP in accordance with its project plan. The fees for the 2018-28 LTP audits were based on total fees established for the 2015-25 LTP audits, plus an increase of 5%, reflecting inflation during the three-year period to 2018. The total audit fee proposed was $7.6 million. Fees were significantly less than the audit costs actually incurred to complete LTP audits in the past. We considered the total fee level was fair and reasonable to the sector, assuming councils performed to plan. The fees agreed with councils were based on the premise that councils performed well in preparing their LTPs. If not, we expected auditors to seek reasonable additional audit fees to cover the cost of councils' poor performance. We communicated this expectation to all councils on 9 August 2017. In our communication, we also outlined what we considered to be good performance by a council for an LTP audit engagement. This was based on guidance prepared by the New Zealand Society of Local Government Managers. Auditors sought additional audit fees from 29 councils. In most instances, the additional fees were sought because the council had not delivered as we expected. A small number of councils had a change in strategic direction between the consultation stage of the LTP and finalising the LTP. Our auditors also sought increased fees for this additional audit work. The total additional fee recoveries sought were $0.9 million. We will take into consideration the results of the 2018-28 LTP audits when considering the audit fee regime for the 2021-31 LTPs.